Travel through the colourful countries of Latin America with us on Friday, 12th of April 2019! 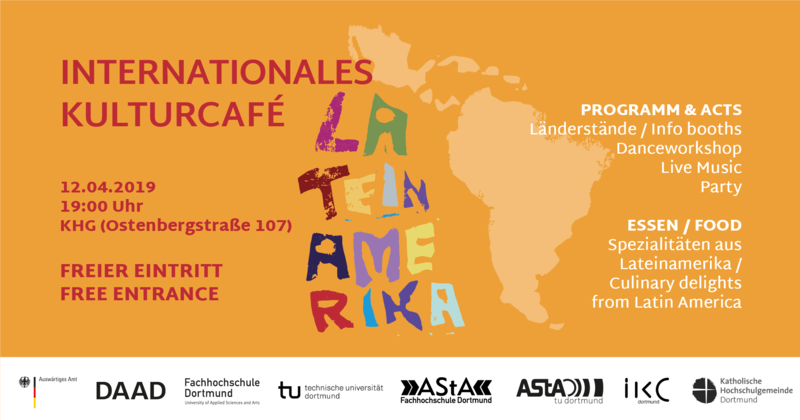 We invite you to meet international people and find out more about the diversity of cultures of this continent. Besides culinary delights, a colorful program with music and dance, followed by a party, is waiting for you!